However tongue-in-cheek his prediction, he is far from the first to make it. Since compact discs and CD players first appeared, audiophiles have insisted that digital sound is inferior to the warmth and depth of music delivered on quality equipment via properly made long playing vinyl discs. CDs wouldn’t be around long, some of them said. That was in 1982. According to The Wall Street Journal’s December 11 issue, “Nearly eight million old-fashioned vinyl records have been sold this year, up 49% from the same period last year…” The increase may be impressive, but the big percentage jump is in a tiny segment of the industry; LPs represent about two percent of total record sales. It is unlikely that significant numbers of people who do their listening on iPods, cell phones and Spotify will abandon their ear buds and start carting around amplifiers, speakers and 33 &1/3 rpm turntables. Still, enthusiasts are listening to all kinds of music on vinyl, from heavy metal to ukulele bands, symphonies, string quartetsand solo pianists. Along with the usual flood of CDs, a few new LPs are showing up in reviewers’ mailboxes these days. 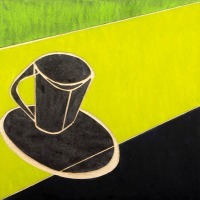 Broadbent recorded this LP in the summer of 2013 before an audience in Portland, Oregon. The piano is not identified in the album’s credits, but Rick Zackery of Classic Pianos, where the concert took place, reports that it was a Steinway Model D concert grand. That is the instrument preferred by classical pianists from Sergei Rachmaninoff to Lang Lang, and by countless jazz artists. Its brilliance and fullness from top to bottom are impressively captured in the LP, as is Broadbent’s command of the keyboard. Among the impressive moments: his lightning right hand forays in the title tune; the beautifully recorded walking bass notes and upper octave trills in “Django;” in “Serenata,” Tatum downward runs and a sly allusion to “Love Is Here To Stay;” references to Lennie Tristano in “All The Things You Are;” Broadbent’s rhapsodic treatment of the Elvis Costello art song “The Birds Will Still Be Singing;” and the delicate glissandos with which he ends Brubeck’s “Strange Meadowlark.” Those are parts of the whole. The big picture is of a complete pianist correctly described by liner notes essayist Tobias Richsteig as a storyteller. The limited edition LP follows a solo CD that Broadbent recorded at Classic Pianos a year earlier. The CD was a Rifftides Monday recommendation. Consider this LP another. Tucked inside a pocket of the gatefold jacket is a voucher good for an MP3 download of the album from the Edition Longplay website. Apparently in the digital age, even dedicated audiophiles must be willing to make digital compromises. As with the company’s other LPs, the jacket artwork is by a distinguished German graphic artist, in this case Martina Geist. Other vinyl discs in their catalog feature as leaders pianists Hank Jones and Don Friedman and bassist Martin Wind. This previously unissued double LP comes roaring out of the righteousness and raucousness of the 1970s New York loft scene. Talented, largely self-taught and full of fierce energy, saxophonist Lowe developed in the free jazz movement that followed Ornette Coleman and John Coltrane. His major transition from the R&B orientation of his Stax Records days in his hometown, Memphis, came after he was encouraged by Coleman to move from San Francisco to New York. There, Lowe spent time in the Sun Ra Orchestra and absorbed energy and inspiration from the intrepid saxophonists Marshall Allen and John Gilmore. He also recorded with Alice Coltrane. Sometime in 1974 he formed a quartet with trombonist Joseph Bowie, drummer Steve Reid and bassist William Parker. 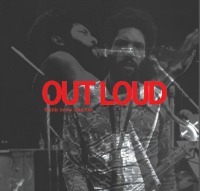 Out Loud preserves an hour and a half of the group’s uncompromising intensity and headlong risk-taking sparked by Lowe’s audacity as a tenor saxophonist. Bowie and Reid match their leader’s eagerness to go on expeditions into uncharted territory. To no small extent, bassist Parker’s maintenance of reliable time and a semblance of harmonic order stabilize an enterprise that often has the potential of flying apart. On one track, trumpeter Ahmed Abdullah joins the band for a few chorusesif that term can be applied to unstructured blowingthat have intimations of bebop. Lowe’s integration of throat sounds into his saxophone tone enforces the thought that his playing is an extension of speech. He enhances the effect with phrasing that has the force of shouted oratory. Lowe’s quartet leaves the impression of profoundly human expression by a man forging his artistry when American jazz musicians, like their nation, were negotiating the political and social turmoil of the 1970s. Out Loud is handsomely produced on heavy vinyl discs in a double gatefold cover. Its 36-page booklet has extensive notes and analysis by Ed Hazell, J.D. Parran and Ben Young, and previously unpublished photos by Valerie Wilmer and Omar Kharem. Like the Broadbent LP, the Lowe comes with an extraa link and password to internet video and sound of the quartet from tape shot at one of the sessions at Sam Rivers’ celebrated Studio Rivbea. After his quartet dissolved, Lowe worked with Don Cherry, John Zorn and other figures in the avant-garde. He died of lung cancer in 2003 at the age of 60. Horvitz’s conception of composing is rooted in jazz, classical, folk, country, rock, gospel andone supposesall other music he has ever heard. The critic Paul de Barros once wrote of him as a “defiant cross-breeder of genres.” Horvitz melds, blends and contrasts styles by imposing sonic order that invites the open-minded listener inside. In the case of this LP’s 39 minutes (additional music is available only as a digital download), “inside” means the passages, bunkers and an enormous empty cistern in a state park on Fort Worden, a decommissioned military base in Port Townsend, Washington. That’s where he recorded 55 with his ten-piece Royal Room Collective Music Ensemble, named for the Seattle music club he co-owns. Since he left New York 25 years ago, Horvitz has continued the work that made him an admired figure for his ability to bring coherency and lyricism to a 1980s avant-garde that often resorted to shock for its own sake, not necessarily for the music’s. He writes scores that are on his musicians’ stands, but his conducting and composition are often simultaneous. 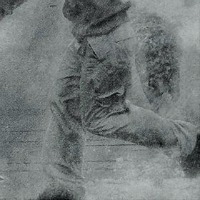 In the manner of his friend the late Butch Morris, he often uses hand signals, nods and body language to tell the players to depart from what is on the written page. In other words, he improvises as he conducts, and the band interprets. Many of the changes in direction, dynamics and mood in this recording must result from that collective spontaneity and flexibility. The music’s drama is enhanced by the resonance of the concrete space and at times, it seems, by subtle electronic manipulation. The cave effect is evident in most of the tracks, notably so in the contrasts between strings and horns in the final cut, titled “55(20).” All of the pieces are named “55.” Another number in parentheses follows each title. The subsidiary numbers are not sequential. “55(21),” for instance, follows “55(5).” Horvitz’s otherwise illuminating liner note essay does not explain whether the discontinuity has meaning related to the music. In addition to the essay, the LP booklet has photographs of some of the musicians and dancers in action in Fort Worden’s underground concrete spaces and on what appears to be the top of the cistern. The dance aspect of the production, choreographed by Yukio Suzuki, took place as the music was played for audiences. Because the confined spaces held few people, Horvitz and Suzuki gave four performances. The ensemble playing Horvitz’s challenging music is Steve O’Brien: trumpet; Naomi Siegel: trombone; Kate Olson: soprano saxophone; Beth Fleenor: clarinet and bass clarinet; Briggan Krauss: alto saxophone; Maria Mannisto: voice; Eyvind Kang: viola; Heather Bentley: viola; Roweena Hammil: cello; Victoria Parker: violin. Horvitz’s quarter of a century of eclectic brilliance in Seattle may have influenced some of the city’s younger fusion adventurers. Carefully scored, demanding the players’ close attention to intricate notation, Chemical Clock banks, loops, swirls, shouts, growls and turns on a dime. Its music coalesces in a thicket of styles derived from jazz, among them hip-hop, progressive rock, disco and swing era riffs. It is an operation more tightly wound than Horvitz’s. I don’t detect his kind of group reorchestration done on the fly. What I detect is meticulous musicianship and ferocious energy that often breaks out into rhythmic hilarity, as in “Spider.” The piece’s nursery rhyme simplicity merges into a march whose pomposity fades away on the soft wings of a trumpet melody. The band is only four people; keyboardist Cameron Sharif, trumpeter Ray Larsen, bassist Mark Hunter and drummer Evan Woodle. Nowhere in the publicity information sheet (the LP sleeve has no notes) does the word synthesizer appear, but I don’t know what else can account for passages that have the volume and harmonic complexity of an orchestra. “Apothecary” is a good example. “Aorta” proceeds from organized chaos to resolution and a quiet ending perhaps symbolizing recovery from a heart attack. Larsen’s range, flexibility, tone and control of his trumpet have showcases in the kaleidoscopic “Squid” and the album closer, “Roy.” His performance throughout made me wonder if he’d consider an album of ballads. Something so conventional may be far from his thoughts. 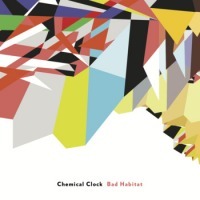 Bad Habitat showed up here as a 12-inch LP, but it was released simultaneously as a CD. Either way, Tables & Chairs (another Seattle label) makes an MP3 or FLAC download part of the deal, in case you feel that you need to have the album with you wherever you go. For four or five years, Hiromi Kanda has been looking out from the cover portrait of an LP leaning against a music room wall. “One of these days,” I kept telling myself. “I must listen to that.” “Well,” I kept replying, “I will, the next time I do an LP roundup.” You know how easy it is to get behind. A singer well known in her native Japan, Ms. Kanda has lived for several years in Hawaii with her husband, the composer and producer Yusuke Hoguchi. In 2010, they went to Los Angeles, hired an orchestra with a full complement of strings and some of the best studio and jazz players in town, and made this record. Ms. Kanda’s singing is idiosyncratic, with a slight accent. She occasionally succumbs to a tendency to kittenishness in delivery of lyrics but compensates with good timing, phrasing and intonation, and a genuine understanding of the classic American songs that make up most of the album. Three originals that she wrote with Hoguchi may not be quite in the league with those by Victor Young, Cole Porter, the Gershwins, Eubie Blake and Charlie Chaplin, but their “Dreamer” comes close, swings hard and incorporates effective backup trio vocals. The album works, in great part, because of the arrangements by Matt Catingub, who also has a few fine alto saxophone choruses. Other impressive soloists are pianists Joe Sample and Quinn Johnson, trumpeter Bob Summers, tenor saxophonist Pete Christlieb and trombonist Andy Martin. It’s an enjoyable collection. I shouldn’t have waited so long. There was an answer to those who think CDs just don’t sound right, and that was SACD, the Super Audio CD. This format is still alive in the audiophile world, but is simply not supported by major labels anymore. It delivered on the promise of what the CD should have sounded like when it was introduced. Concord Music released quite a few of them, as well as Verve. A newer format is Blu-ray Audio, albums released on the Blu-ray format; the first batch were released in 2013 by Universal. Those that I have heard sound amazing, but once again, at 29.95 per disc retail and poor publicity, the record companies have yet to fully explore what this format is capable of. Most vinyl albums are in the 20.00 range anyway. The best digital audio that I’ve heard has been on DVDs, so I don’t doubt that SACDs and Blu-Ray discs are as good or better. I have a conspiracy theory about this, which is that the industry initially set the resolution for CDs on the low side to allow for another upgrade cycle. Consumers rebelled and went for cheap, low-res Mp3s instead. If you’re just going to listen to junk music through lo-fi earbuds connected to a cellphone, what difference does sound quality matter anyway? Another odd phenomena: Music meant to be played at ear-splitting volume in arenas or clubs ends up coming through little tinny sounding speakers in the ceilings of waiting rooms or businesses. I find myself picturing tiny dancers boogieing furiously on top of the ceiling. Digital audio is not inherently compressed nor excessively “bright,” nor is the analog LP inherently more “natural” or “open” than a CD or DVD. These characteristics are established by how the music is recorded, mixed, and mastered. As to the conspiracy theory and the introduction of the CD — I was around then and working in pro audio. Many of us in the industry felt that the 44.1 kHz CD format “didn’t offer enough digital bits” to reproduce the music well, and wanted to wait until higher bit-rate technology was developed. My perception of events is that the manufacturers wanted to exploit a new thing they could sell, and the record industry wanted to boost sales. I don’t think they wanted to set things up for a “next cycle,” they simply wanted to start this new one as soon as possible. In those years, the sound quality of LPs had sunk pretty low, thanks to lowest common denominator attitudes by record company executives. It was common for re-issues of vintage material to sound varying degrees of awful, thanks to careless production work and poor manufacturing of the LPs. I recall comparing an audiophile quality LP of a Clifford Brown set produced by a Japanese company with the same material reissued by a major US company. The difference jumped out at you — listening to that Japanese reissue was a new revelation of the great beauty of Clifford’s sound. By comparison the US LP was muddy, of limited range, and distorted. The reason for the difference was that the US company was using a copy of a copy of the original recording, while the Japanese company went back to the original master and carefully transferred it. When CDs came on the scene, greater care in mastering reissues was mostly used by even the major US companies because the CD was perceived as a more demanding medium. Now, the record companies started going back to their best available masters, and worked at making them sound better. In those days, I was listening to a lot of master recordings of well-recorded jazz. Early CD players didn’t sound very good — I had an expensive professional Revox unit that was so “brittle” that it was hard to listen to. But it wasn’t long before manufacturers of CD players figured out how to make them sound a whole lot better. Today, I’m quite happy with the CD format — it’s a lot easier to store, CDs sound good on a $200 changer that I can load with five CDs. My last LP turntable setup cost me nearly $2K in the 70s. I still own it, but haven’t used it for about 15 years, and my collection of more than 3,000 LPs is in long term storage.